Riding my first ever Red Hook Crit back in July was an amazing experience – the race itself, the atmosphere, the people, just everything about it hooked me straight in and made me want to sign up for the next race in the series immediately. As Dave and I had been officially homeless whilst we waited for the purchase of our new house to go through, we’d missed out on the all the pre-events in London and we’d also missed out on the after party because I was driving and we were crashing an hour and half’s drives away, so when we signed up for Barcelona we decided to take a full week off work to immerse ourselves in the experience and have a little holiday. 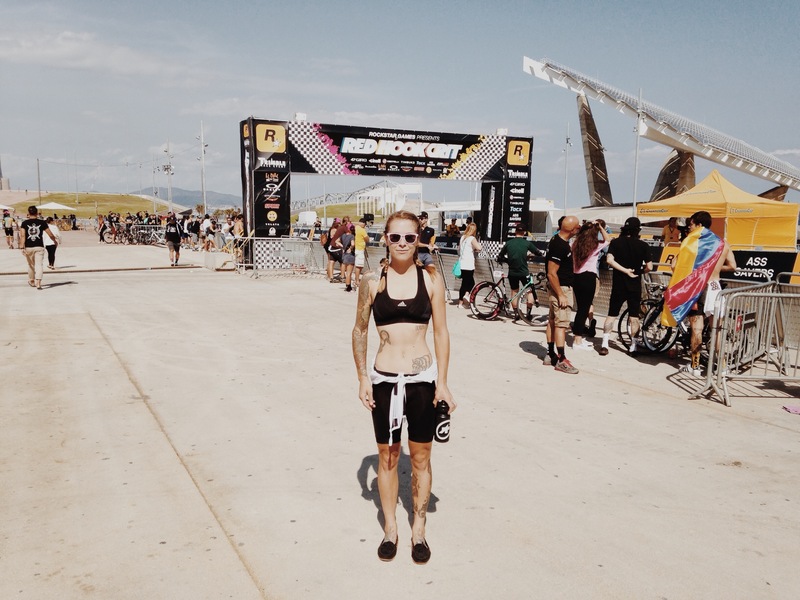 After nearly a full month of rain in August I couldn’t wait to get to Barcelona to ride my bike in the sun, hang out on the beach, go to the velodrome, check out the architecture, eat good food, drink beer… and race! 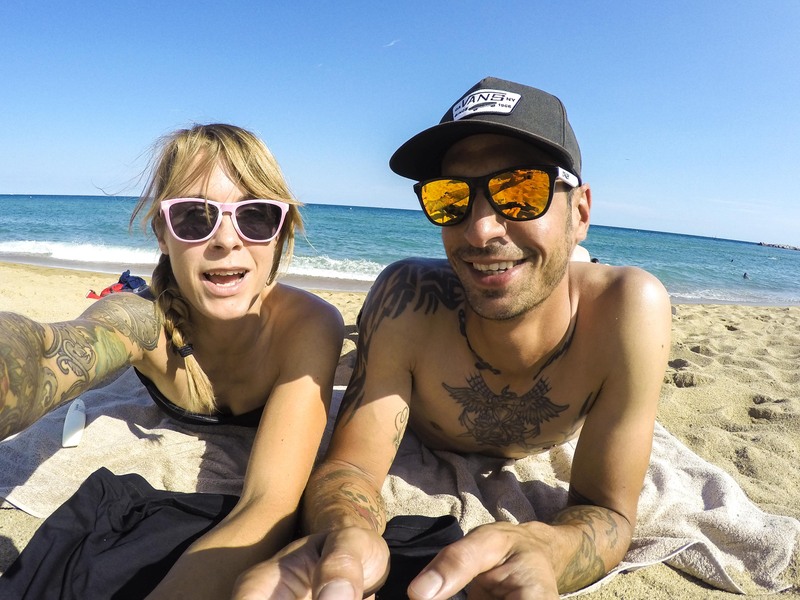 After arriving in Barcelona on the Tuesday, we headed off to explore, check out the beach and have a swim in the warm Mediterranean water, before grabbing some incredibly cheap beers and hanging out on the rooftop terrace of our apartment in El Raval. 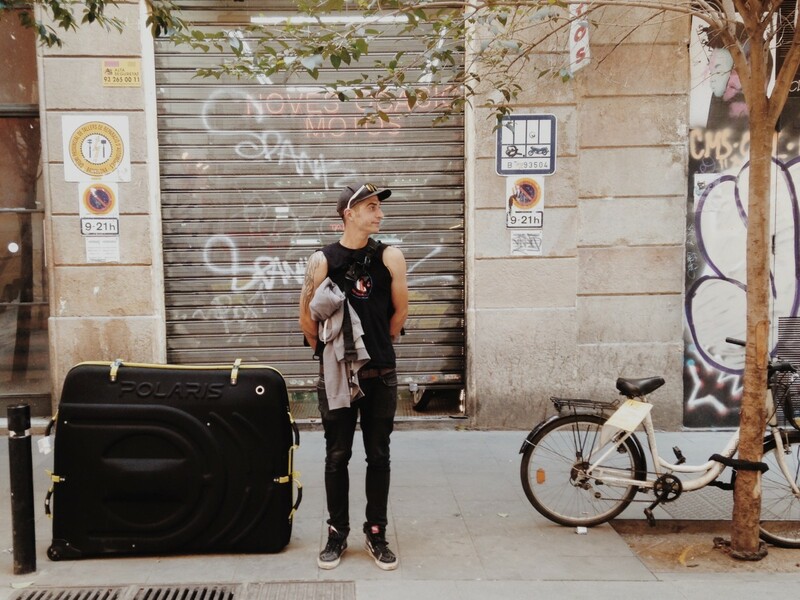 Having never been to Barcelona before I’d had no idea in which area to stay so we’d really fell on our feet when a friend offered to rent us his apartment there. 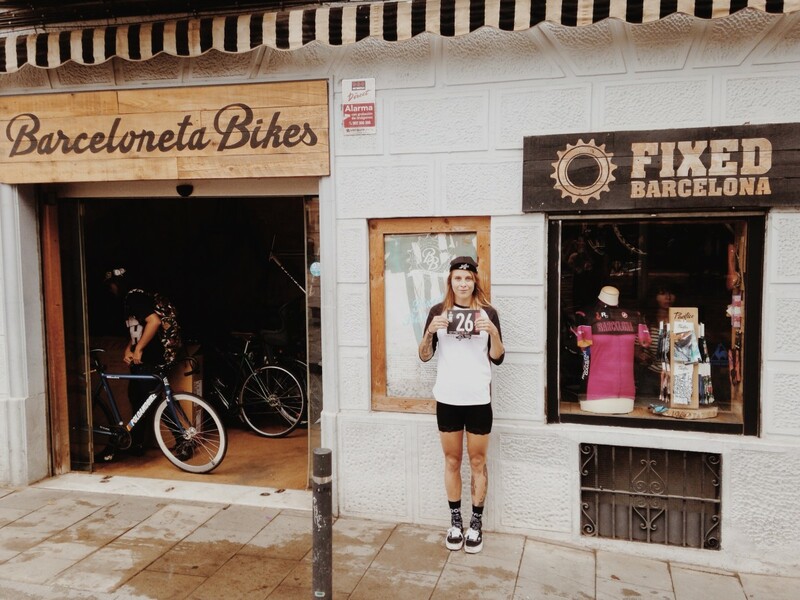 I immediately took to El Raval because the district has a really nice feel, with a diverse mix of nationalities trading, tons of skateboarders sessioning the ledges outside the MACBA, the odd hipster joint and a place that sold amazing fries for a Euro. Apparently the area didn’t use to be that nice but the Barcelona City Council invested some money into cleaning it up, rejuventating the Rambla Del Raval in the process – I thought was a lovely street for an evening stroll through the palms and a beer at an outside café. On Thursday, we woke up late to rainy skies and were unsure whether the track day organised by Pista Barcelona would be going ahead, which was a real shame as we’d been looking forward to having a shred and meeting some of the other riders we’d be hanging out with at the beach the day before. Despite the rain, we took a leap of faith that paid off, riding up Barcelona’s numerous small hills (fairly challenging with track gearing!) 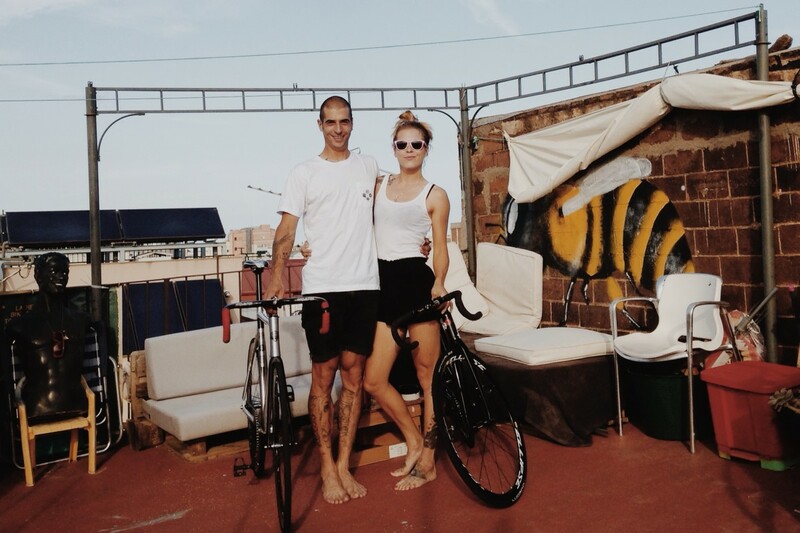 to find the beautifully refurbished Velodrome D’Horta was totally dry. 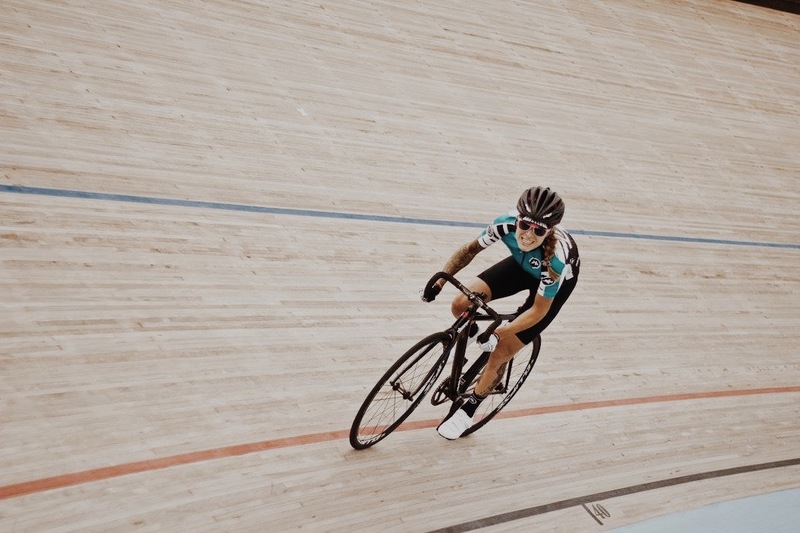 It turned out the track is the same dimensions and angle as the Newport Velodrome but riding outside in the sunshine was a totally different experience, to say the least. I did a few flying laps to give my legs a wakeup ahead of the weekend’s race (they felt rubbish) then it was back to the beach for more sunning and beers. Yes, I like beer a lot. Friday meant yet more beaching it, a potter about the city and dragging Dave to look at art and architecture, which was a bit of a fail as we didn’t realise quite how long you have to wait before you can enter some of the more famous Gaudi buildings. Even Park Guell, the Gaudi park, had a wait of nearly three hours. Friday night was the Dosnoventa pre-event party, which was absolutely ram jammed with people all the way down the streets, filling the roof top and spilling out of the store. The only drinks on offer were coconut water, which is gross, or beer, so it took all my willpower to sip a drink slowly rather than guzzling and dashing back for more. In the end, Dave and I had to just go home otherwise we’d have kept on drinking and the race the next day would have been quite unpleasant… the Red Hook Crit is hard enough as it is, without doing hungover. So happy that you and Dave finally settled into a house!!!! thank you, so are well. It’s awesome!